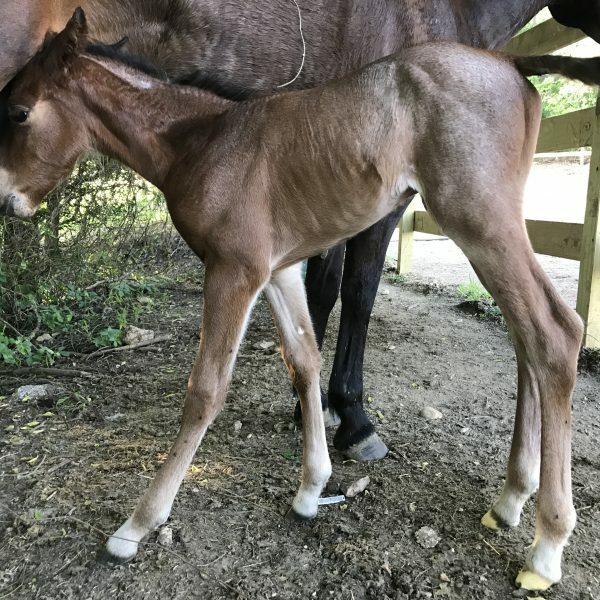 Baby bay roan filly, Charlotte. standing with mom on her first morning at the ranch, outside of San Marcos Texas. What does it take to thrive? Certainly good nutrition, a sense of physical and mental balance, and I’m sure my horse chiropractor would agree: a healthy spine. These fundamentals hold true for people and horses. It’s one of the reasons that we at Maverick Riding take such pride in our consistent efforts to maintain healthy guts, balanced movement and thriving spines. Our food source is heavy in forage, which has well-known benefits to our equine working partners. In an attempt to reduce quick consumption of grain or grain hitting an empty belly, we’ve recently added high-quality timothy hay pellets into feeding, watered down not only to slow overall consumption but also to prevent choking. 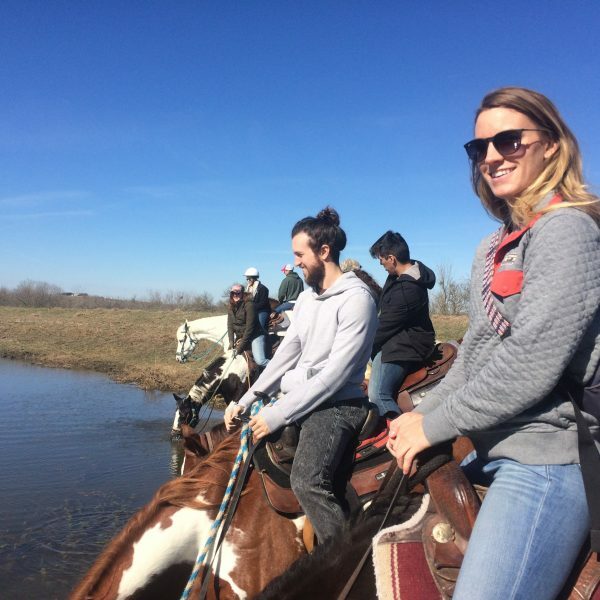 As for balance, we’ve been able to rotate some of our more commonly used beginner horses as guide horses, making sure that they have the opportunity to get out and get moving with more advanced riders who require them to move straight, bend on the curve, flex and collect. I’m happy to report that our recent visit from a holistic horse expert has informed us that our horses look PHENOMENAL. Aside from some of them being a little too fat (except the new horses, who are still skinny… it takes a long time to put weight on lean horses), their spines appear in very good shape. We’ve got our regular chiro visit and balanced riders to thank for that. Next step? We’ll be updating our saddles. We had a visit from a saddle-fitting clinician and we’ve identified what’s working, what’s not and what we need to do about it. 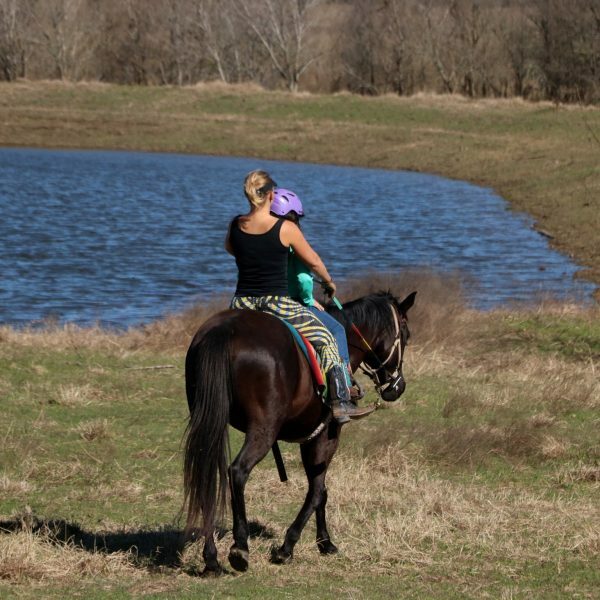 I’m excited about an upcoming trip to Southeast Tack in Brenham with 8 of our most used and hardest-to-fit horses. I’ve been wanting to update our gear for quite some time, so this feels like a great leap forward to me. And double bonus! We get to take the retired saddles and make saddle stools out of them. Awesome factor, right? Thanks for taking the time to visit our page. We look forward to seeing you out at the ranch. Call to make a reservation, or for more information about our services. We are located 20 minutes away from the heart of downtown San Marcos.